Tomato Sauce with Italian herbs - Voilà! - Canning Homemade! Home » sauce » tomato » Tomato Sauce with Italian herbs - Voilà! Tomato Sauce with Italian herbs - Voilà! Preparation: Prepare 7-8 pint jars (depends on how thick you like it), lids, and rings. Sterilize the jars and keep them in the hot water till it’s time for processing. Make sure to fill your water bath canner and get the water to a simmer. * Core your tomatoes but you don't need to peel or seed. Run the tomatoes through a Victorio or Kitchen aid or use a food processor and push the the pulp through a fine mesh strainer to remove the peels and seed. If you want to leave the seeds and peels that is ok also. Measure out the dried herbs and mix together. Set aside. Cooking: In a large stainless steel saucepan, combine tomatoes. Bring to a boil over high heat, stirring frequently. Reduce heat, cover and boil gently about 30 minutes. Add the spices to the tomatoes. Increase heat to medium and boil gently uncovered, stirring frequently, until its the consistency you desire, about 1 hour. leaving 1/2” headspace. Remove air bubbles and refill to the proper headspace if necessary. Add 1/4 t. of citric acid to each pint jar. ** Taking a clean papertowel wet it with warm water and wipe the rims of the jars removing any food particles that would interfere with a good seal. Using your magic wand extract the lids from the hot water and place them on the now cleaned rims. Add your rings to the tops of each of the jars and turn to seal just "finger tight". Processing: Make sure your rack is on the bottom of the canner and place the jars in the water bath making sure that the water covers each of the jars by 1 to 2 inches. Cover the pot and turn up the heat under the canner and wait for the water to start boiling. 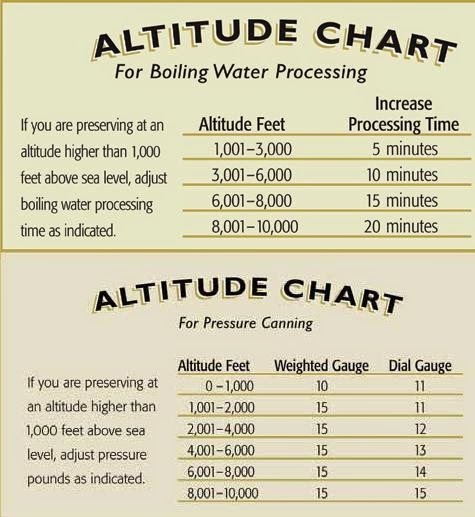 Once the water has come to a boil start your timer for 35 minutes. Remove the jars and place them back on the dishtowel in a place that they will sit overnight to cool. Do not touch or move them till the next morning. ** If you are doing these in quarts you will at 1/2 t. citric acid to each jar.